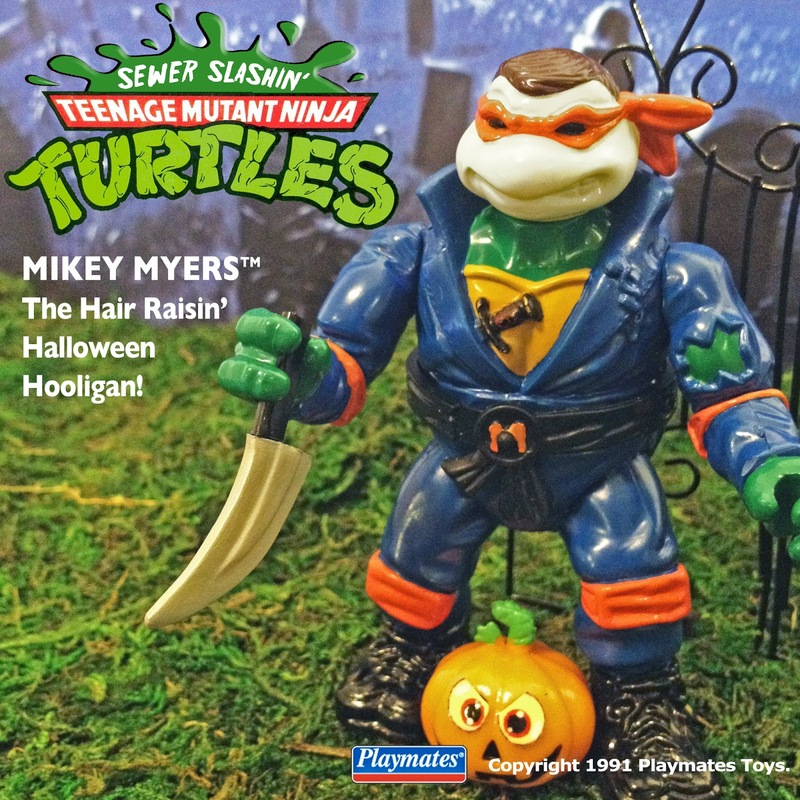 In the 90’s, Playmates created a line of Ninja Turtles for just about everything, including Olympians, astronauts, Universal monsters, mildly racist Wild West characters, and more. 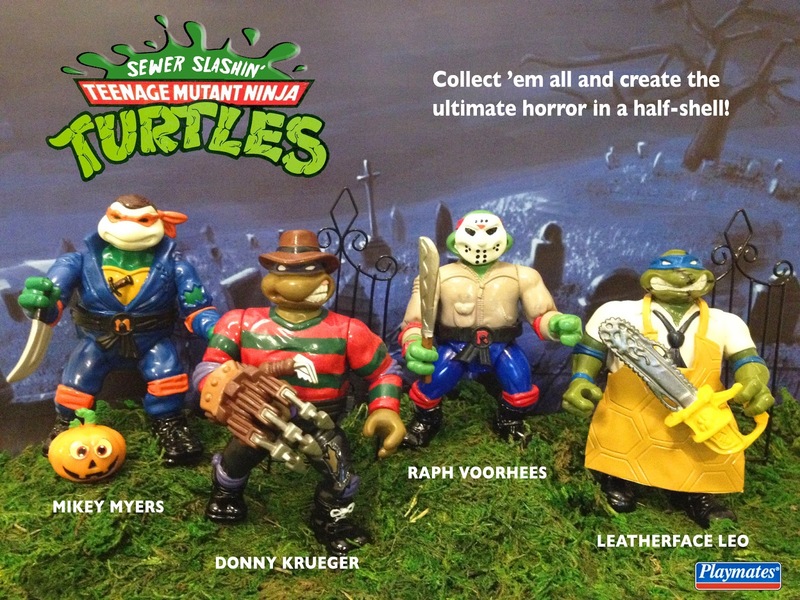 Those crappy (in a good way) Ninja Turtle sets were the inspiration to make some of my own vintage-style custom Ninja Turtles based on classic horror movie slashers. There are more pics below and on the CTC Flickr page, and be sure to follow CTC on Instagram to see more. Awesome job. I take it you have no intention of selling? No, as of now I have no plans to sell these. Sorry. Thanks! Pleeeeease let us know if you make any more to sell. I WILL BUY THEM. So why are you posting things you have no intention of selling? Its annoying and frustrating. Well, hopefully we'll all get through this. I Love these, andd yes would love to see them for sale but very awesome that you listed how you made them! Great job! Annoying and frustrating? Like when you make art and share it on the internet for free and then have to listen to whining from anonymous lurkers? That kind of annoying and frustrating? Or the kind of annoyance and frustration you feel when someone implies that any art/crafting which can't be commodified is inherently worthless? These are really tubular dude!!.. So great you had the vision to come up with these!! 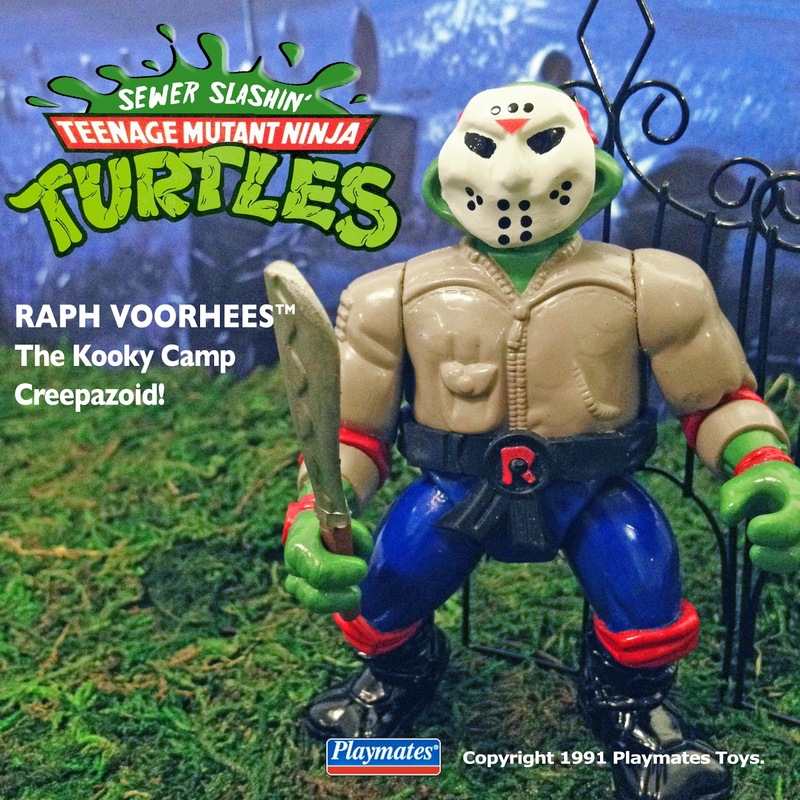 My son who is a major Raphael turtle fan for 23 of the 26 years of his life saw these and went bonkers!!! Thanks for sharing!!! Shut up and take my money! 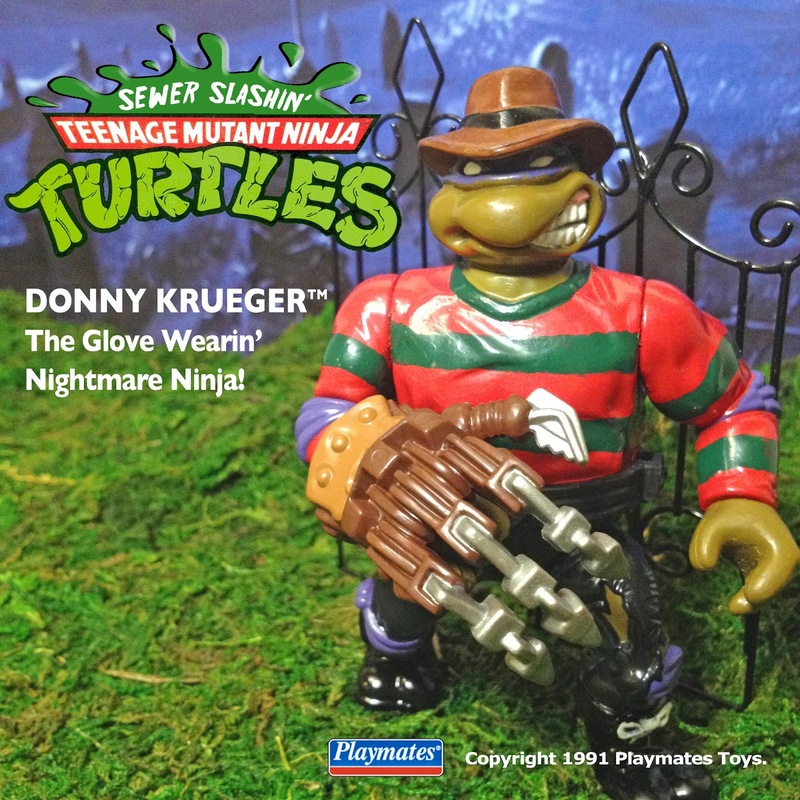 I need a Donny Kruger. DO YOU HEAR ME!!?? I NEEEEED ONE!!! 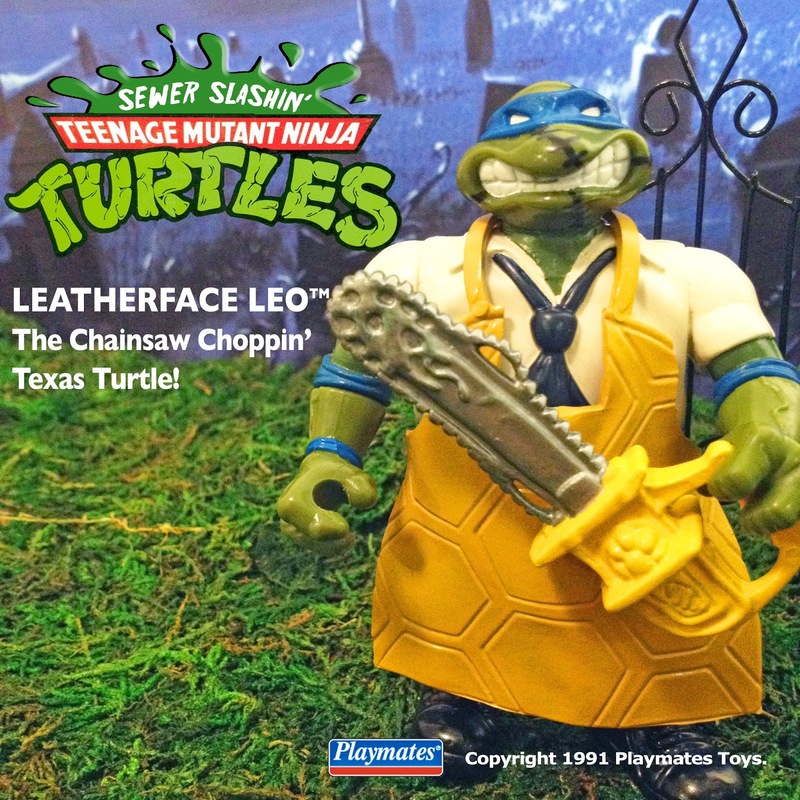 It was playmates thaat made turtle figures not hasbro which i dont see how you didnt find that put doing your research to find out if theses were real when the dude eplxplained.and brokebdown every figure.dumbass. Lol thats dope you could sell these on ebay and pry make 20 sets for the price you would get off these. AWESOME FREAKING JOB - i know they are not for sale, however, are you working on eventually being able to produce and sell these? i just would like to know if there is any hope for future purchasing. I would love to get as a christmas gift for someone special. Thanks and appreciate your response! Hi Katherine, maybe sometime down the line I might make a few more sets. But as of now, there really aren't any plans in the immediate future for making more. Sorry! Thanks tho. Well done sir. Also sorry for you having to put up eith dumb ppl. Also to those who think the toy co would make these clearly don't understand the way tm and copyright infringement works but cool. Also the price someone offered $125 is way too low imho. $750 each would ba a worthy starting point. Yes each. Looking forward to more of your great projects and again ty for shsring. How did you go about changing the crotch on the figures? These are incredible, awesome stuff!! !